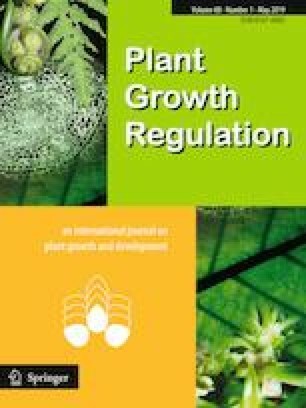 Sorghum bicolor produces the cyanogenic glucoside dhurrin, a secondary metabolite integral to plant defence and stress responses. Dhurrin production is both developmentally and environmentally regulated in S. bicolor, with high levels of variation within and between lines. Such phenotypic variation may result from polymorphic differences or epigenetic modifications in genes associated with cyanogenesis. In this study the chemical 5-Azacytidine was used to assess S. bicolor’s response to genome-wide demethylation, which had not previously been investigated in the context of cyanogenic glucoside regulation. Morphological changes, the expression levels of key genes involved in dhurrin synthesis and turnover, and the cyanogenic potential (HCNp) of leaf tissues were analysed. Treatment resulted in alterations in dhurrin synthesis, gene expression, and dhurrin levels, suggesting that DNA methylation is involved in the regulation of HCNp in the initial stages of S. bicolor development. Previously identified EMS mutants from the adult cyanide deficient class (acdc) have been found to exhibit altered dhurrin concentrations during development. This study shows that acdc mutants possess a CΔT change in the promoter of CYP79A1, a key gene in dhurrin synthesis, and that this mutation is stably inherited and associated with the acdc phenotype. To further investigate the role of epigenesis in dhurrin production, we determine the methylation status of the 250 bp region surrounding the CΔT mutation site in wild-type and mutant plants over two stages of development. The online version of this article ( https://doi.org/10.1007/s10725-019-00489-z) contains supplementary material, which is available to authorized users. We thank Dr Alan Neale for valuable comments on the manuscript and Dr Peter Stuart (Seed Tek Pty Ltd) for carrying out the crosses between the various sorghum lines analysed in this study. The project was supported by Australian Research Council Grant Nos. LP100100434 and DP130101049 to RG. VCR is supported by an Australian Government Research Training Program Scholarship and AW Howard Memorial Trust Inc. Research Fellowship. Experimental studies and analyses were carried out by VCR, AAQ, SMF and CKB. RG contributed to the design and coordination of the studies, as well as data interpretation. VCR, RG and CKB drafted the manuscript. All authors contributed to the approval of the final manuscript.